Barry and Lisa Rodgers present a cheque for £411.85. Money was raised by completing a £10k run in memory of Michael Rodgers who died on 22nd June 2013. 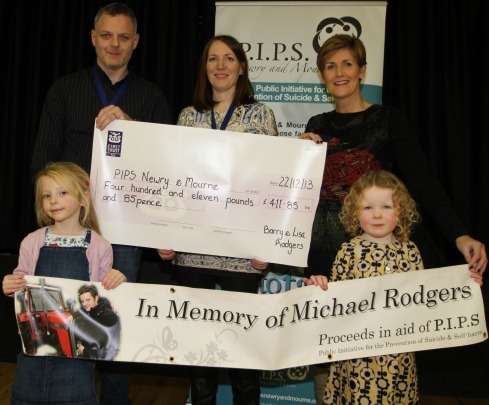 PIPS Newry and Mourne would like to thank all of those involved for their very kind donation.